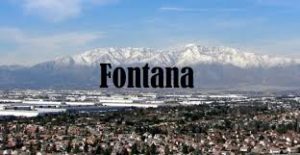 Employment Law Attorneys For Employees in Fontana: The city of Fontana in San Bernardino County, California is home to well over 200,000 residents and is the second most populated city in the county. The city was originally founded in 1913 by Azariel Blanchard Miller, but after Henry J. Kaiser set up a steel mill in the area during World War II, Fontana experienced a surge of residents and employers. While the steel industry is no longer the leading economic driver in the area, the city has transformed into a regional hub for the trucking industry as both State Route 210 and Interstate 10 transect the city from east to west, and Interstate 15 passes through diagonally from north to west. After years of debating and battling between employers and their employees, the United State Department of Labor published brand new regulations in May regarding who will be paid by salary and who will be paid by the hour in the trucking industry. Generally speaking, those who must now be paid by salary include supervisors of two or more employees, managers who must use their judgment and discretion to make an important decision, or employees who have obtained an advanced degree to secure their position. What about Overtime for Truckers? Individuals in the trucking industry are potentially losing thousands of dollars in salary every year simply because they do not understand their wage and hour rights in the state of California. The Azadian Law Group, PC clarifies all state laws which pertain to your specific case. After reviewing your claim, we will detail how you should proceed and will offer additional assistance if necessary. Our law firm offers free consultations to anyone who needs clarification on their rights as an employee, and we will be proud to represent you. We invite you to arrange for a consultation with our attorneys today by phoning (213) 229-9031.